Secondary glazing systems are available in a wide range of designs and styles. Secondary glazing services are available in the form of fixed and sliding options with each style adding its own unique character to your homes overall appearance. There is a wide selection of finishing colours to choose from for your secondary glazing including brilliant white, silver and brown. It is also possible to accommodate specific requirements and manufacture the secondary glazing in a colour of your own choosing. Standard procedure for many manufacturers would be to have all items glazed with a flexible PVC gasket. This is a popular style of secondary glazing that is the perfect solution for masking hardwood windows that let in draught air. This immediately improves the heat insulation of your home while saving you money on energy bills. Sliding secondary glazing options are generally of excellent quality and are designed to introduce additional style and comfort to a building. Two popular styles of sliding secondary glazing include vertical and horizontal, the use of which is dependent on the shape and size of your window. The fantastic insulation properties of these glazing options work in saving you money on energy bills, while also perfectly matching the style of your home. Vertically sliding secondary glazing is manufactured with guillotine shoot bolts for minor windows and is typically spirally balanced for larger windows. 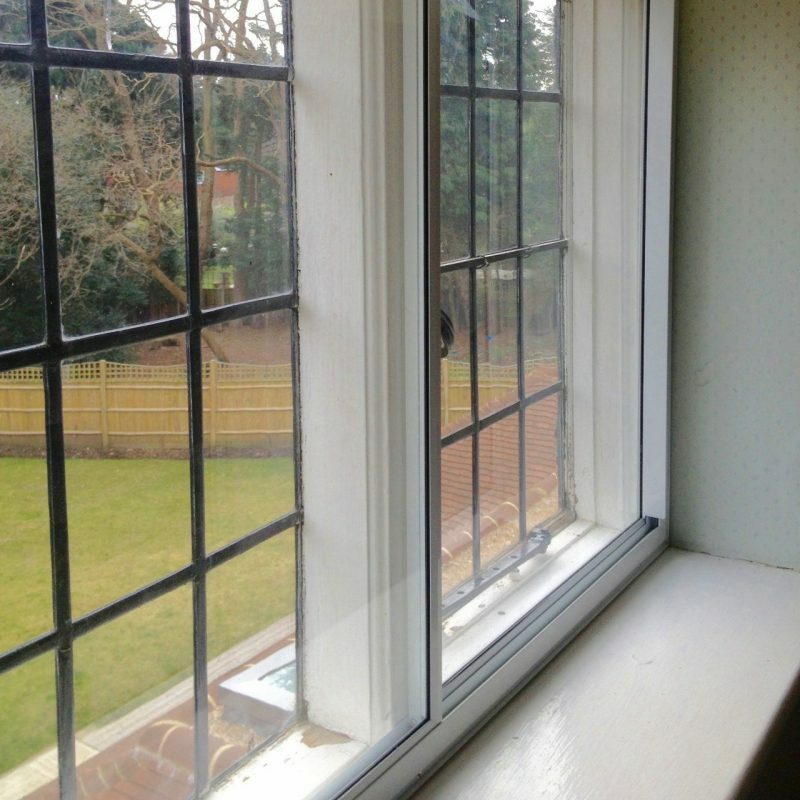 This type of secondary glazing is ideal for windows that are taller than they are wide. Half the window is designed to slide over the other half in a vertical movement. This type of unit is most beneficial to listed buildings due to the fact that they assist in the eradication of draughts, while improving insulation. A vacuum between the two units is created, which is similar to double-glazing, and which serves to eliminate noise pollution and draughts. Sliding windows may also be sealed with a twin polypropylene weather pile to provide comfort and extra insulation. The horizontal sliding action of this options acts quite similarly to the movement of sliding patio doors. This type of secondary glazing works particularly well on windows that are split vertically in 2 panes. In this way, the bars of the secondary glazing are able to match the design of your current window. This option is ideal for windows that are wider than are high. Horizontal sliding secondary glazing provides fantastic insulation and noise reduction qualities. Finished with a twin polypropylene weather pile sealant, you get the peace of mind of knowing that your windows not only look great, but are also extremely secure. With the right repair company, you will be able to achieve the right secondary glazing for your home.